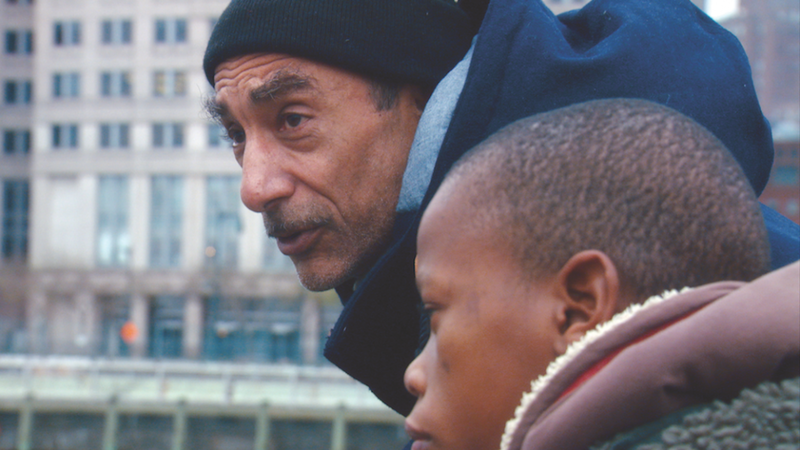 Michael Obert’s portrait of a return to Western civilization debuted at IDFA in 2013. Other fest screenings have included DOC NYC, SXSW, ZagrebDox, Thessaloniki Doc, London, Cleveland, It’s All True, Planete + Doc, DOXA, Pan African, !f Istanbul, and Camden. Drawn to the Central African Republic to study the songs of the Bayaka pygmies 25 years ago, American musicologist Louis Sarno abandoned modern civilization to join the tribe and start a family. Fulfilling a long-standing promise to show his teenager, Samedi, the world, father and son trade the rainforest for the concrete jungle and travel to New York City, visiting family and friends like Louis’ college roommate, director Jim Jarmusch. While Samedi takes it all in, Louis, surprisingly, is the one who becomes the fish out of water.